Microbes provide a huge platform to enhance our skills in the therapeutic industry by exploiting them. 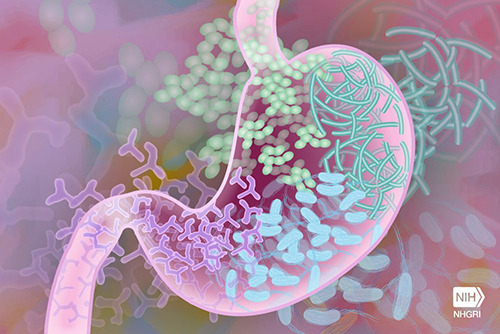 Their use as probiotics have become a common trend but its usage as live engineered therapeutic probiotic having a favorable drug-like property has been first designed and reported by Isabella et al. (2018). 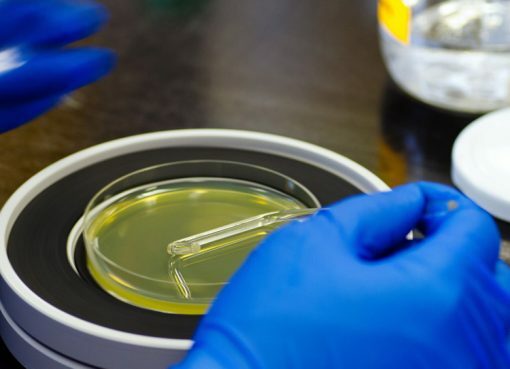 The Scientists have designed, engineered and developed an E. coli nissle strain as live biotherapeutic agent and named it as SYNB1618 to treat phenylketonuria (PKU). PKU, a genetic disorder, inherited in an autosomal recessive pattern occurs due to a mutation in the PAH gene encoding phenylalanine hydroxylase. This results in accumulation of phenylalanine in blood and brain leading to neurotoxicity, neurological deficits, emotional and cognitive diseases, if left untreated. Although PKU can be altered by using strict low-protein diet with supplements of essential amino acids and trace elements along with some therapeutics like saproprotein dihydrochloride and prelease, in the long run, it shows some drawback as low levels of dietary proteins can result in failure to thrive. In addition, many patients are unable to remain in lifelong compliance with a prescribed diet. 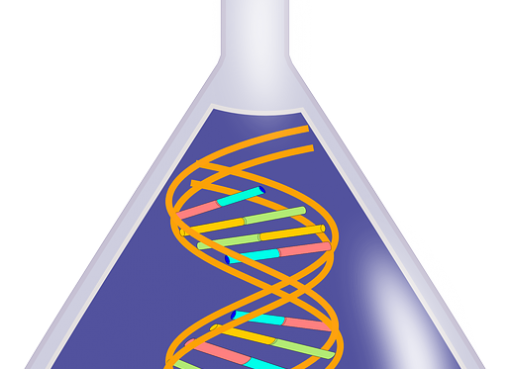 To combat the disorder, gene therapy and oral administration of Phe- degrading enzyme phenylalanine ammonia lyase (PAL) have also been tried by some researchers but factors like gene transfer vector, cost and time pose a substantial roadblock to these alternatives. Thus, Isabella et al. engineered E.coli nissle strain according to FDA guidelines to degrade Phe in response to the anoxic condition of mammalian gut. For accomplishing their objective, they integrated two different pathways in the strain – one pathway used PAL to convert Phe to transcinnamate while the other used L-amino acid deaminase (LAAD), a membrane associated enzyme capable of converting Phe to phenylpyruvate. The strain was then administered to Pahenu2/enu2PKU mouse model and Cynomolgus monkeys (Macaca fascicularis) to evaluate its potency. In the first model, a reduction of 38% was observed in phenylalanine concentration as compared to the control, whereas as in the second model SYNB1618 inhibited the increase in serum Phe after an oral Phe dietary challenge. In both the models, Phe was converted to transcinnamate (TCA) that was quantitatively metabolized by the host to hippurate (HA), which was successfully excreted by the models in their urine and hence it was used as a predictive biomarker for strain activity. Since the synthetic strain was detectable in their faeces after a single dose, it allowed the evaluation of pharmacodynamic properties. With the successful completion of the research, SYNB1618 is being evaluated in clinical trials using biomarker (TCA and HA) identified in this study. After identifying the potential efficacious dose in healthy subjects, the oral administration of the synthetic strain/ drug will soon be extended to the PKU patient cohort. Malaria is a mosquito-borne life-threatening disease caused by Plasmodiun spp. of parasites. In 2016, there were approximately 216 million cases that took 4,45,000 lives worldwide. To address this issue in Africa, scientists will release 10,000 sterile male mosquitoes in Burkina Faso. In August, 2018 the Government of Burkina Faso granted permission to a non-profit consortium ‘Target Malaria’ to release genetically modified mosquitoes at Bana, a village in that country. Scientists have modified the mosquitoes in such a way that they are harmless and cannot transfer genes to human being. As the modified mosquitoes are males and sterile, they cannot grow in large numbers and transmit the disease. It is anticipated that this might not only control the disease transmission but also overall mosquito population in a particular geographical location. Photosynthesis is a process by which photosynthetic organisms convert light energy into chemical energy. 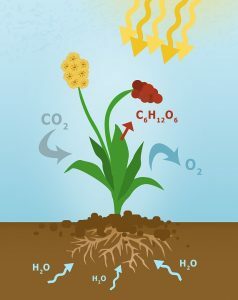 On the basis of photosynthetic reaction, researchers from the University of Cambridge, UK have developed a semi-artificial photosynthesis system to produce hydrogen fuel. Artificial photosynthesis has been developed decades ago but could not be used for production of renewable energy due to requirement of expensive and toxic catalysts. But this team has successfully converted natural sunlight into hydrogen and oxygen using both biotic and abiotic components. The developed system consists of red and blue light-absorber photosystem II with a green light-absorbing diketopyrrolopyrrole dye-sensitized TiO2 photoanode combined with hydrogenase enzyme. The team claimed it to be a bias-free system for efficient synthesis of fuels, such as H2 from natural sources like solar energy.